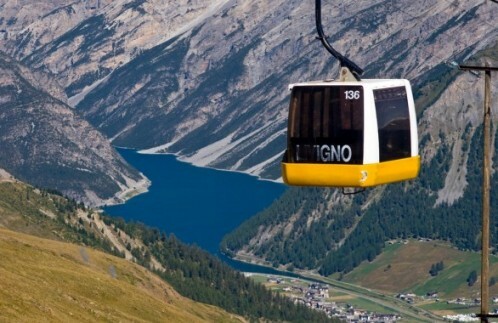 Its scientific name is Livigno Lake, it is called Lago di Livigno, the Italian resort that is located on the southern shores of this stretch of water that marks the border with Switzerland. The shape of a reverse hook is explained by its artificial nature, whose end is closed by Punt dal Gall dam, holding 164 million cubic meters of liquid. Technical notes aside, we see that there are interesting new tourists to Livigno Lake: from 3 August you can navigate waters with non-motorized boats up to 6 meters long and 1.5 meters draft. You will be able to go kayaking, kite surfing, windsurfing and canoeing, boating or rowing. Will be activated rental service vessels (open from 10 to 18) and will be banned bathing, apparently for the water temperature is too low. If water sports are not just for you, you can always fall back on the trek: From the lake you can in fact to discover the source of the river Adda following the path leads along a path that runs through the valley Alpisella. And who is located in mid-August will enjoy the Black Night, an evening dedicated to witchcraft but a great night event-based music, torches, lanterns and torchlight processions.